Aurora police and firefighter/paramedics responded about 2:30 a.m. Sunday October 15, 2017 to a water rescue of an SUV crash from an exit of I-88 just west of the intersection of Eola Road and Diehl Road — an area of east Aurora between Aurora and Naperville. People were traveling in an SUV were heading home to Cicero from a party in Aurora. About the time of the crash, light rain was falling after heavy rain and thunderstorm and flooding occurred Saturday night. Aurora police say Gladys Ruvira-Garcia allegedly lost control of her Nissan Xterra SUV and crashed it into a retention pond near I-88 on the south side of Diehl Road. Police say Ruvira-Garcia was driving her with four other occupants — her adult sister, two teenagers and her 6-year-old son near Eola and Diehl Road. All occupants of the vehicle were able to get out of the vehicle, except her 6-year-old boy, pinned inside the submerged vehicle in 15 feet of water. Activating a dive team response, Aurora Fire Department extricated the boy from the vehicle, 80 feet from shore in 15 feet of water. The boy was transported to a local hospital, and ten transferred to a Chicago hospital, where he remains in critical condition in a medically-induced coma. His mother Gladys Ruvira-Garcia, 31, of Cicero is charged with three counts aggravated DUI, driving without a valid driver’s license, and several traffic offenses. Ruvira-Garcia was taken into custody at the scene of the crash. Police say she had a blood alcohol content above 0.14%. In Illinois, drivers are legally considered to be under the influence if they have a blood-alcohol content (BAC) of .08 or more. Also, according to the Illinois Secretary of State an individual with a BAC between .05 and .08 may be convicted of DUI if additional evidence shows the driver was impaired. Gladys Ruvira-Garcia was being held on $500,000 bond, and is scheduled to appear in DuPage County Court Monday, October 30, 2017. 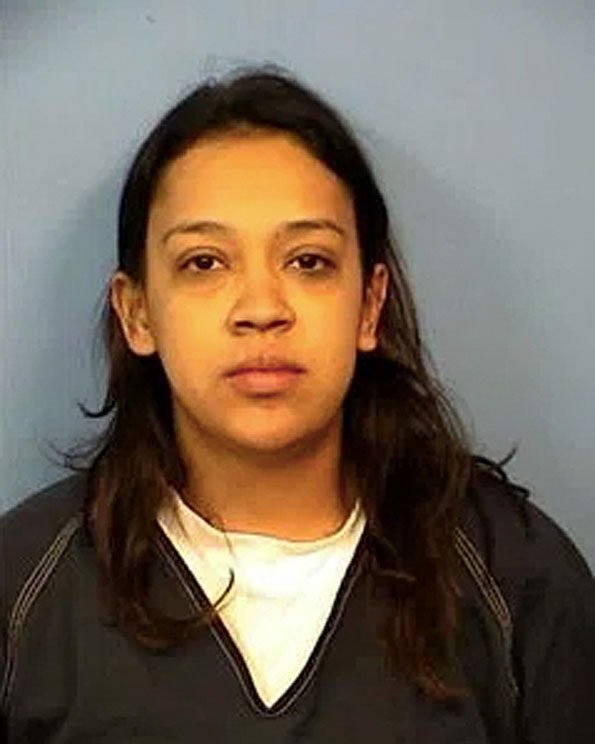 Gladys Ruvira-Garcia, aggravated DUI suspect Aurora, Illinois.